StyroGlue Plus Base is a 100% polymer-based, fiber reinforced, water-resistant base coat and adhesive, which is field mixed in a 1:1 ratio by weight with portland cement meeting ASTM C150. 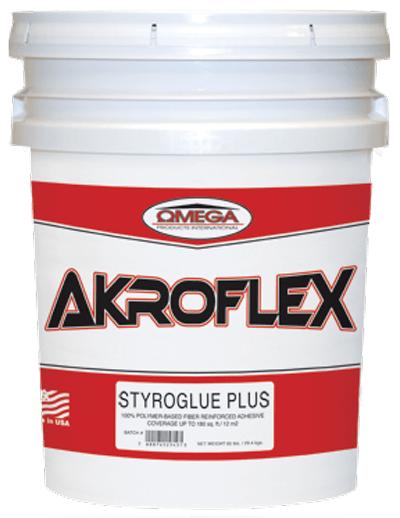 StyroGlue Plus may be used as an adhesive and base coat for AkroFlex EIF Systems and EPS foam shapes. 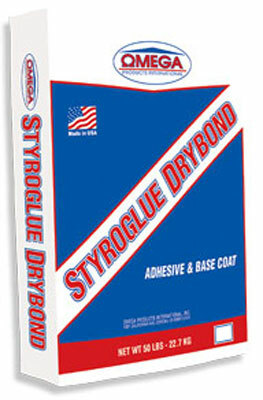 StyroGlue Plus is highly water-resistant and can be used as a secondary water barrier. 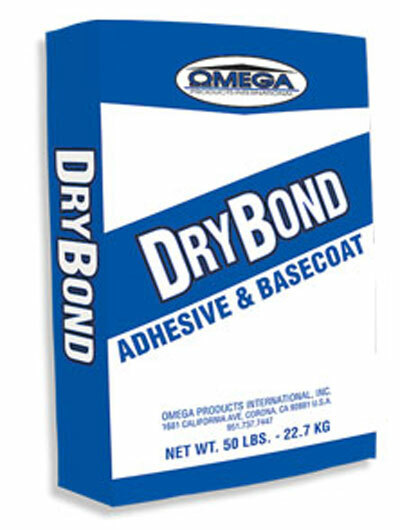 StyroBond Adhesive is a non-cementitious, 100% acrylic adhesive designed to bond EPS foam to various approved substrates including wood-based sheathing. It does not require the addition of portland cement, which reduces the labor costs during application. StyroAdmix is a 100% acrylic admix that is field mixed with Omega’s acrylic finishes and portland cement to create an adhesive and base coat. StyroAdmix saves contractors money, by allowing them to create an economical base coat and/or adhesive from leftover AkroFlex or OmegaFlex finishes. 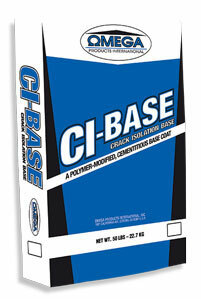 This base coat/adhesive can be used to coat and attach EPS foam shapes or as leveling coat over approved substrates.